Giving the best-wrapped birthday gift at the party is a piece of cake. Just watch our 3 gift-wrapping video tutorials and download the free printable templates. This festive gift topper is guaranteed to get the party started. Just download our party hat topper template, gather a few supplies and get crafting. Turning a birthday card into a birthday billboard is as easy as 1, 2, 3. 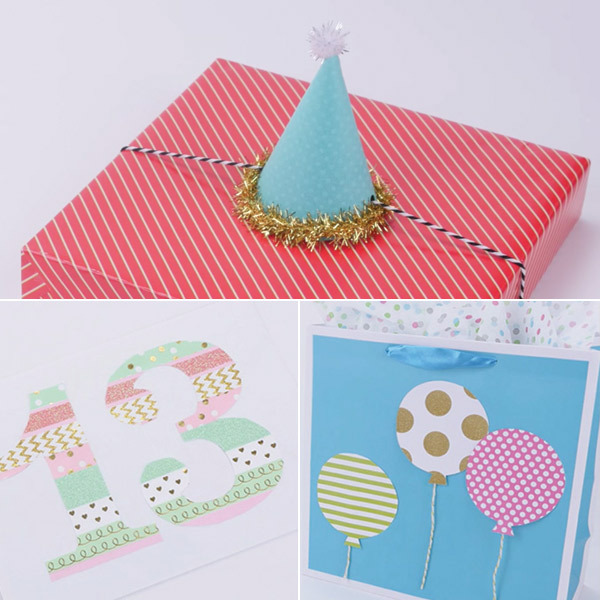 Just pick the right numbers from our printable templates, decorate with washi tape and get ready to make this birthday a big deal. Let your creativity soar with a birthday gift bag adorned with colorful balloons. Download the balloon templates now to design your own custom creation.